The Cockapoo is an "old" hybrid; it has been popular since the 1960's. Though the breeding was accidental, the outcome was joyous. The pups were smart, odorless and had a low shedding rate. They aren't a recognized breed yet. They have a breed standard and now they need to breed a consistent lines of traits. 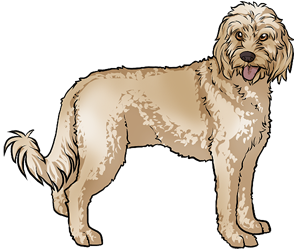 The Cockapoo is not a purebred dog. It is a mix between a Cocker Spaniel and Poodle. In 1999, a breed standard was made. Sister breed to Spoodles which are Poodle and English Cocker Spaniel mixes.